These projects take place in countries around the world that also have climate targets. With so many ongoing climate initiatives that concern multiple UN agencies, transparency of who claims every emissions reduction will be important. Aviation, like all other polluting sectors, has to be considered in the preparation of individual countries climate commitments (NDCs) and in the review of the world’s progress towards limiting global warming to 1.5°C temperature increase, also known as the global stocktake. For ICAO’s measure to be successful, work must continue both within ICAO and in the UNFCCC for a proper integration of the CORSIA into the new Paris framework on markets. Luckily, timelines for both measures align quite nicely. Offset criteria for eligible programmes and Monitoring, Reporting and Verification (MRV) for the CORSIA must be completed by 2018. ICAO-relevant details on implementing the Paris Agreement, including on the transparency of climate action, accounting for NDCs and the global stocktake must also be finalized by 2018. The two processes will undoubtedly influence each other, with principles for the Sustainable Development Mechanism (SDM), in the works on the UNFCCC level. 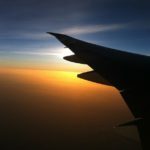 Operationalising the ‘no-double counting’ criteria for offsets eligible in ICAO will also require understanding of what the post-Paris world of carbon markets will look like. The world of carbon markets is becoming more complex in a time where it is critical that we get them right.